A Mobile Phone Blog: Is this the next step forward for mobile billing? Is this the next step forward for mobile billing? 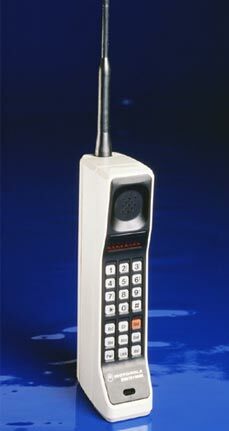 When I first got a mobile phone it was a lovely big Siemens handset on One 2 One. What a great phone that was. The best thing about it was that my contract, which came in at around £20pm if I remember correctly, included free evening and weekend calls to any local numbers. I never worked out what exactly counted as local, but hammered the free calls to my heart's content (and brain's discontent, most likely). The typical shape of mobile phone contracts has changed in the decade since I got that lovely big load of Siemens. Now, the providers like to slap monthly allowances on your free calls, to avoid the possibility of the free minutes being misused, as was supposedly common with the old One 2 One deals. Now, 3 have introduced the first groundbreaking billing package for 3G phones, under the interesting (if slightly odd) moniker 'X'. "X-Series customers will only pay a flat access fee on top of their basic subscription and then what’s free to use on the internet should be free to use on mobile broadband (subject to fair usage and international roaming conditions, of course)"
This is a bold step forward for a company which is still trying to claw market share away from its longer-established rivals. In theory, it should force the other networks to follow suit and drop their current per-megabyte charging. As we well know, the mobile operators are in a bit of a sticky situation at the minute as regards 3G services, having paid the equivalent of £500 per customer for their licenses. That's £500 they need to make back from mobile phone users like your mum, who has probably just grasped texting and would never dream of watching television or managing her money via the internet facility on her phone. That is not to say that the 3G services will not turn a profit in the future. As new generation of mobile phone users grows up with the notion of a mobile internet, usage is growing... just not at the rate needed by the operators. Against this background, 3's move seems like a logical and innovative step, which their competitors will have to match in the near future. It may remove some of the potential profit from offering 3G services, but a change in user habits is the only way the phone companies can hope to get any of their £22 billion investment in the technology back. Wow £500 per customer for the licence, that sounds too much to me. It is true i use the phone a lot, but mainly free calls. Even with international call etc i would strugdle to get to that £500 mark, not including the price of the handset.